With Labor Day now practically a distant memory and September already drawing to a close, the lazy days of summer are long gone. However, the pleasurable reading that accompanies these leisurely days does not have to end… for you or the kids. These four Victorian/Edwardian children’s classics published by W.W. Norton & Co. offer both a pleasurable reading experience and an educational opportunity for literature enthusiasts of any age. Whether you read a chapter a night to your children and indulge in the extra content on the side yourself, or whether your readers are old enough to peruse these volumes on their own, these timeless classics are must-reads for anyone who has never experienced them, and for those who have already lived their enchanting stories, rereading them is like returning to a favorite vacation retreat. These lovely volumes add additional interest through their informative introductions from leading literary experts, their beautiful full-color illustrations from various artists across the ages, and their insightful annotations in the wide margins of the page alongside the story, offering the reader explanations of cultural connotations and innuendos, extra tidbits such as recipes, and biographical parallels of the story and the author. On an afternoon in 1862, the English mathematician and reverend Charles Lutwidge Dodgson took his rowboat out on the Thames with the three young Liddell sisters. This outing was one of many, and Dodgson, known better to us by his pen name, Lewis Carroll, often made up fairy tales for the girls. On this particular afternoon, 10-year-old Alice was especially engaged with his story and implored him to write it down for her. Carroll recalled, “In a desperate attempt to strike out some new line of fairy-lore, I had sent my heroine straight down a rabbit-hole, to begin with, without the least idea what was to happen afterwards.” It can certainly be said that the “afterwards” made history. 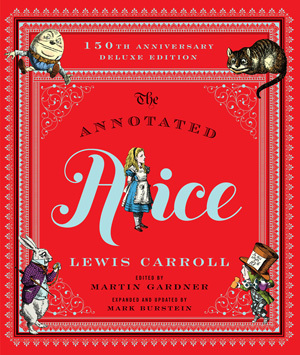 After completing the novel, Carroll had it examined by other children, including those of renowned Scottish author George MacDonald, a key mentor to C. S. Lewis, before submitting it for publication. 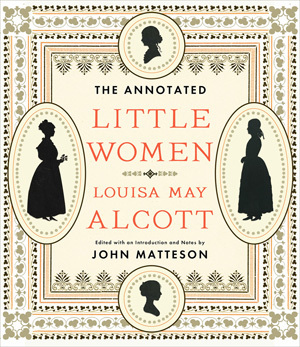 Louisa May Alcott never planned on writing a “girls’ book,” citing to her editor that she knew nothing about them. Thankfully he thought differently, and her growing up as one of four sisters proved to be ample knowledge and experience for penning such a novel. In writing the first couple of chapters, she journaled, “I plod away, though I don’t enjoy this sort of thing. Never liked girls, or knew many, except my sisters; but our queer plays and experiences may prove interesting, though I doubt it.” However, when her editor’s niece found the first dozen chapters to be enthralling, Alcott flung herself into a creative vortex and finished the 402-page manuscript two weeks later. 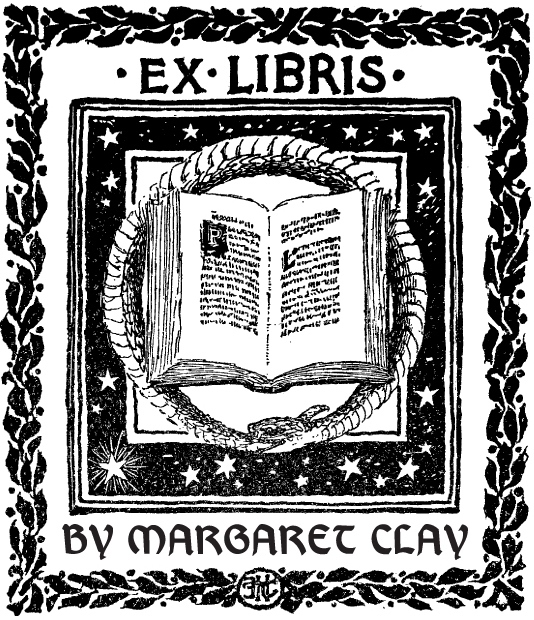 This was first published as Little Women and is now known as Part First. It was a publishing sensation, and Alcott began to again work feverishly on a sequel, which is now Part Second. 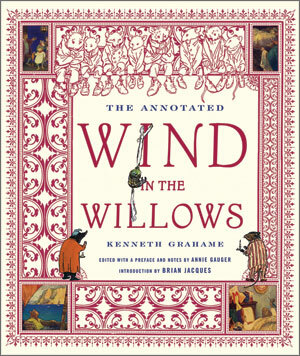 When Kenneth Grahame first published The Wind in the Willows, a novel begun as a bedtime story to his son, Alastair, and refined over a series of letters to him, it was an instant bestseller. This will hardly come as any surprise to lovers of this classic tale of anthropomorphized British animals traveling about the countryside. The adventures of Mole, Rat, Toad, Badger, Otter and the rest most notably include rowboats and racecars, but overlying it all is the core theme of true friendship. “I believe, of course, in magic. Magic is the bringing about of unbelievable things through an obstinate faith that nothing is too good to be true, and many things are to idiotically bad to be able to stand up on their own feet of you charge right at them laughing aloud and with your lance in rest.” With such sentiment, it is no surprise that Burnett was a successful writer of children’s novels. However, she does not sugar-coat life in her stories for her young readers; rather it is through overcoming deep hardships, hardships that many children can relate to all too well, that her characters experience sparks of magic. 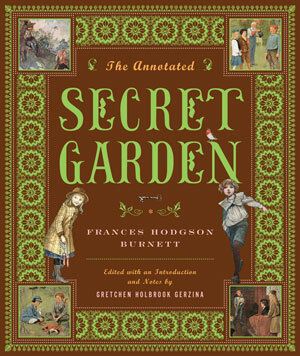 The renowned plot of The Secret Garden opens with 10-year-old Mary Lennox moving to Misselthwaite Manor from India as a spoiled, feeble, disagreeable and unloved orphan. Her socialite British parents had left her care to servants, who appeased her as much as possible to keep her out of her parents’ way. It is through the discovery of and caring for an abandoned garden on the estate as well as her invalid cousin that Mary is able to grow into a flourishing, happy child. As well-known as the story is, Burnett does indeed manage to strike the stroke of magic in the minds of her readers with every rereading of this classic tale.